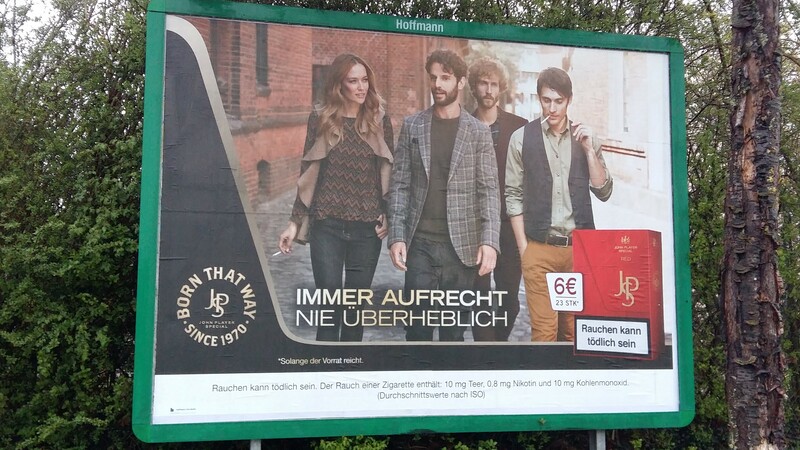 Maybe the translation does not work, but JSP‘s latest “always upright, never overbearing/presumptuous” is a curious tagline. 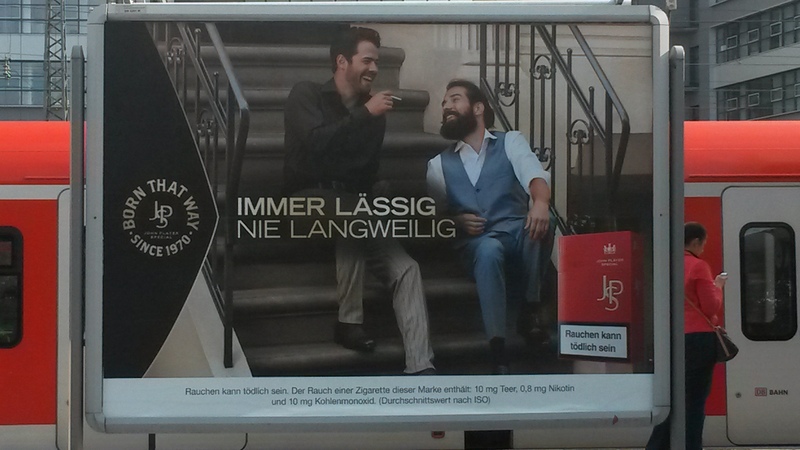 Three men, one woman, two visibly smoking. Clearly an engaging conversation, but as usual it is a bearded man leading the important discussion and discernibly impressing, if not charming, the woman. Bearded man at the back is the person when four people try to walk a pavement together who has to move to the back in order to avoid being run over by a car. Or maybe he is the poor one who cannot afford cigarettes so he stands behind those who can in order to get a passive hit? Just a thought. Not much else going on. 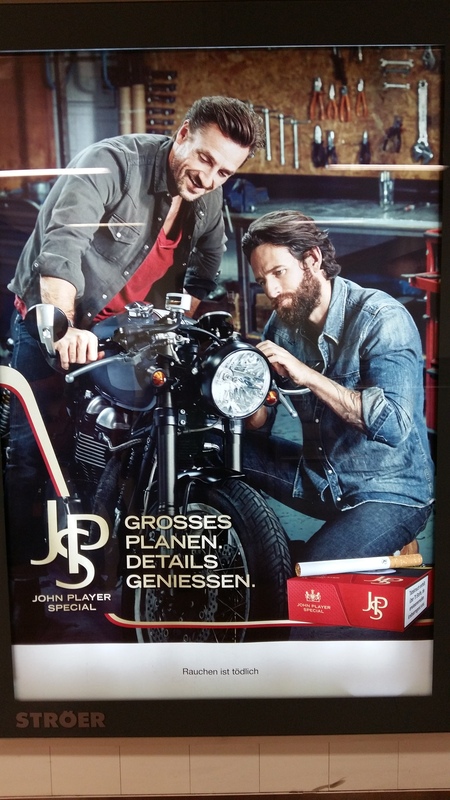 John Player Special is back on the streets in Germany with this oh-so-cool image of man and woman in a vintage convertible. 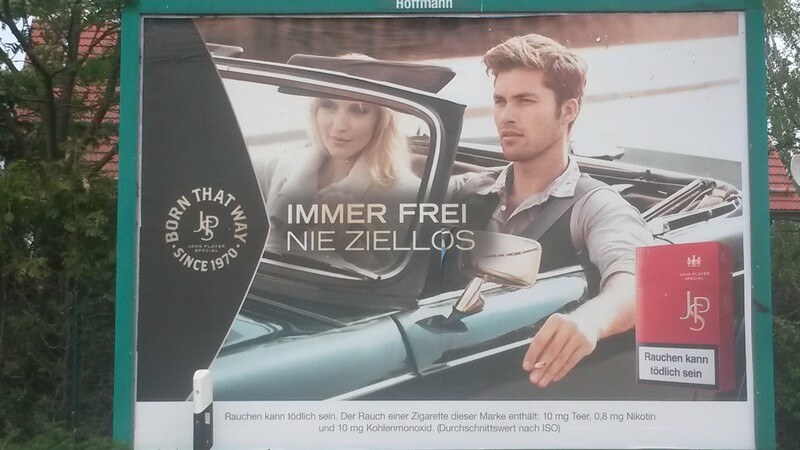 The spirit of freedom comes through the tagline ‘always free, never pointless’. 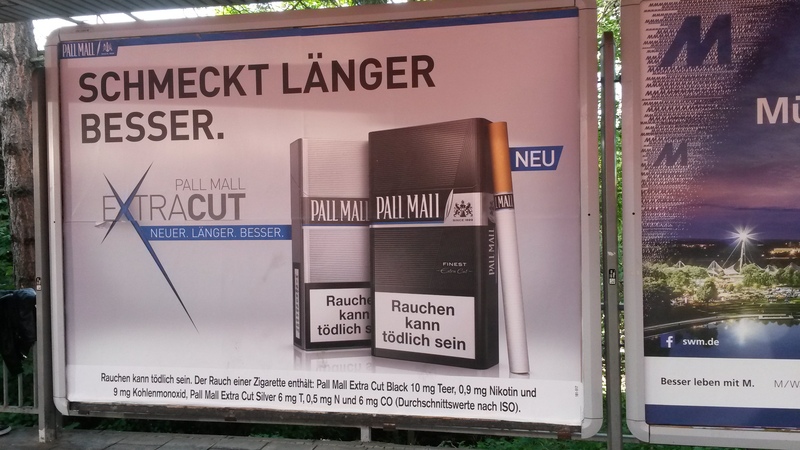 No, there is a real point to smoking. Never pointless, addictive and lethal. 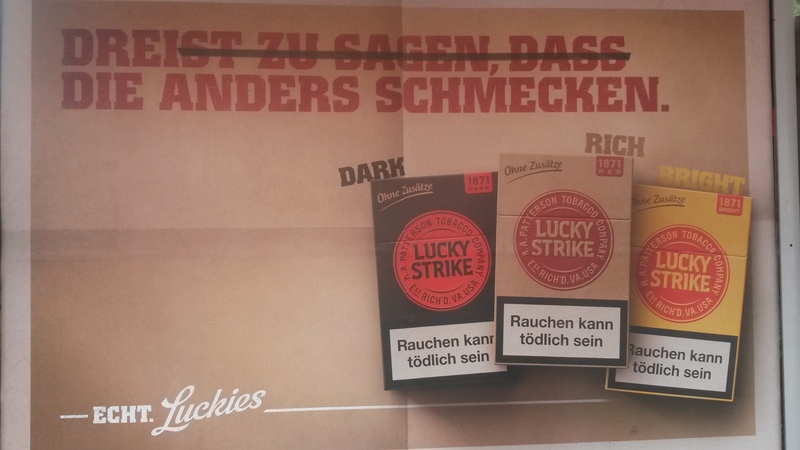 Meanwhile, Lucky Strike continues the case for tobacco as coffee (right). 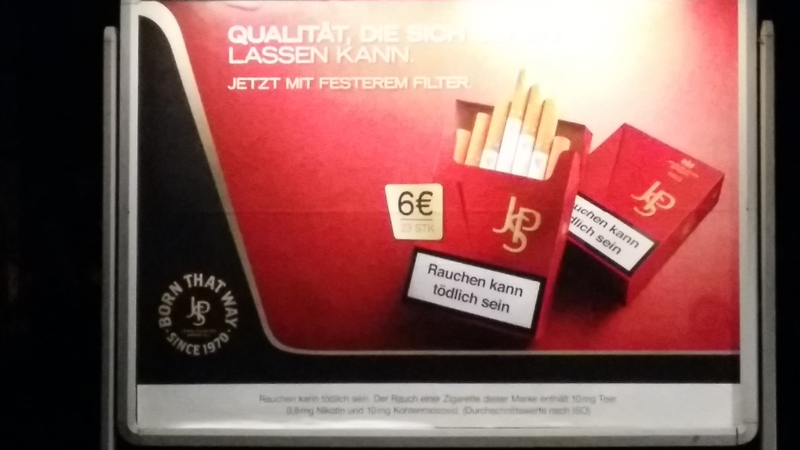 This time the strike-out of the text changes the meaning from being unapologetic or maybe audacious about the different taste to three (packets) that taste different (because of where the tobacco was grown). Get me the ad agency’s number!